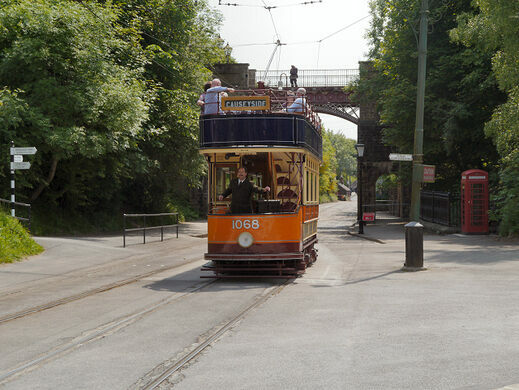 The UK’s National Tramway Museum will transport you back in time. 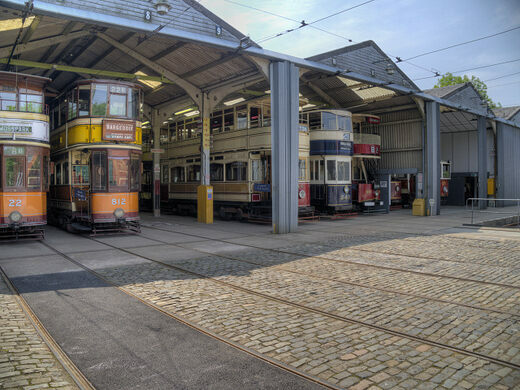 The museum contains over 60 (mainly British) trams, some dating back as far as 1900. It is set in a reconstructed period village containing a pub, cafe, old-style sweetshop and tram depots. Many buildings have been brought to this site after demolition and rebuilt. 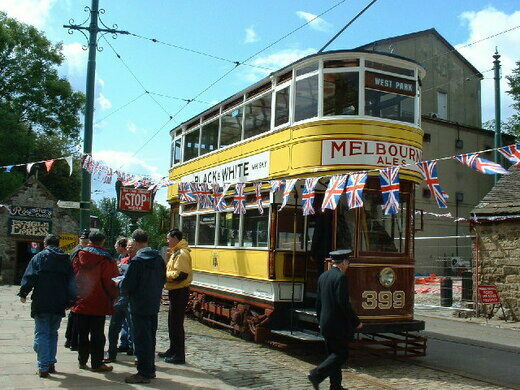 The museum’s collection of both double and single decker trams runs through the village and then about a mile into the local countryside and back. At the terminus is a reproduction of the surface workings of a local lead mine. 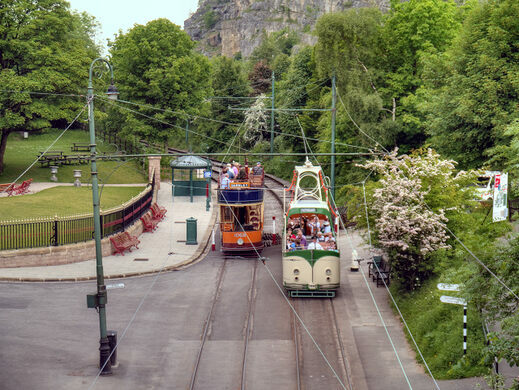 The trams at Crich are mainly pre-1960s trams rescued and restored as the British tram systems closed in favour of buses. Ironically, major cities in the UK are now re-adopting trams. The entrance price allows unlimited electric tram rides all day (and free readmission for 12 months) but there is an additional charge for rides on the horse tram. The museum also offers free admission for drivers of pre-1975 vehicles if parked in the Museum street for a minimum of 3 hours. The museum offers regular themed events of which the 1940s weekend is very popular.